A rich, multigenerational saga of race and family in Hattiesburg, Mississippi, that tells the story of how Jim Crow was built, how it changed, and how the most powerful social movement in American history came together to tear it down. If you really want to understand Jim Crow--what it was and how African Americans rose up to defeat it--you should start by visiting Mobile Street in Hattiesburg, Mississippi, the heart of the historic black downtown. There you can see remnants of the shops and churches where, amid the violence and humiliation of segregation, men and women gathered to build a remarkable community. William Sturkey introduces us to both old-timers and newcomers who arrived in search of economic opportunities promised by the railroads, sawmills, and factories of the New South. He also takes us across town and inside the homes of white Hattiesburgers to show how their lives were shaped by the changing fortunes of the Jim Crow South. 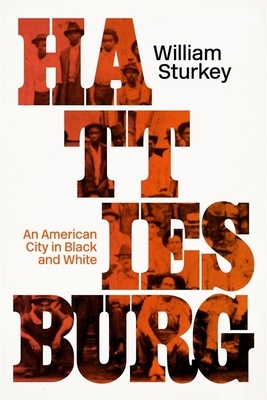 Sturkey reveals the stories behind those who struggled to uphold their southern "way of life" and those who fought to tear it down--from William Faulkner's great-grandfather, a Confederate veteran who was the inspiration for the enigmatic character John Sartoris, to black leader Vernon Dahmer, whose killers were the first white men ever convicted of murdering a civil rights activist in Mississippi. Through it all, Hattiesburg traces the story of the Smith family across multiple generations, from Turner and Mamie Smith, who fled a life of sharecropping to find opportunity in town, to Hammond and Charles Smith, in whose family pharmacy Medgar Evers and his colleagues planned their strategy to give blacks the vote.